Welcome to this stop for the 2016 Crochetville Blog Tour! 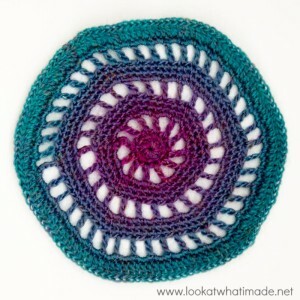 To celebrate National Crochet Month, I will be sharing a pattern for a simple Railway Mandala. 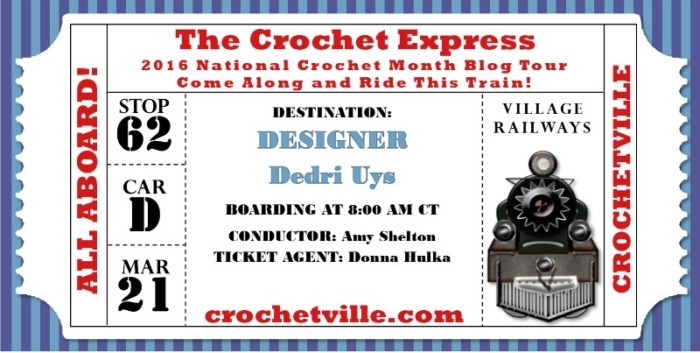 I am very excited to be part of the Crochetville Blog Tour this year. We have met so many wonderful artists along the way already. The Tour is a yarny celebration of March as National Crochet Month, and you can read more about it HERE! 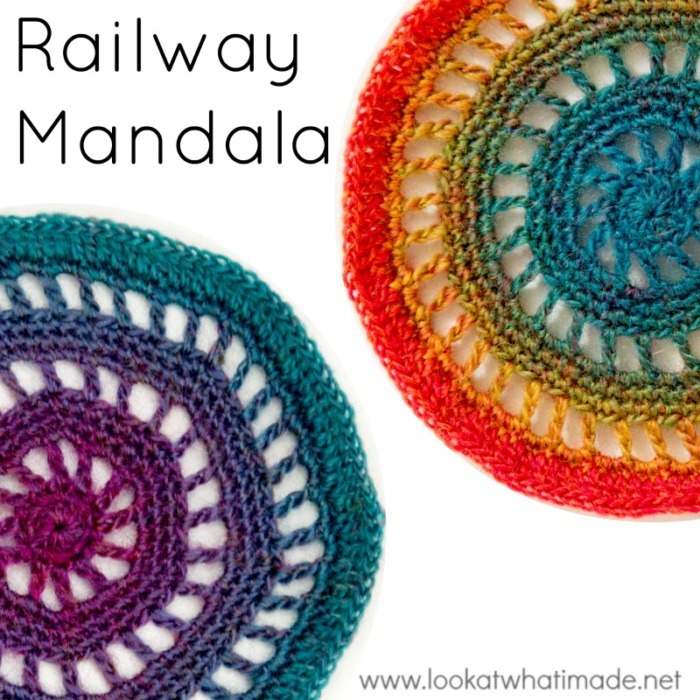 The Railway Mandala is a really simple crochet pattern. It consists of solid concentric circles, broken up by lacy spokes that give the illusion of train tracks. I have chosen to use a colour-change sock yarn because I like the way the changing colours remind me of the changing landscape of a long train journey. You are, of course, welcome to use any hook/yarn combination you prefer. I will be turning these little railway mandalas into squares later this year, and I am quite excited about the project I have in mind. What would you use them for? ©Dedri Strydom 2016. All Rights Reserved. Magic Ring – If you are not familiar with working into a magic ring, this video tutorial by Tamara from Moogly is very good. Please remember, when working into a magic ring, you HAVE to work away your initial tail very well. If you just cut it, your whole project might unravel! Gauge is not important for this pattern. 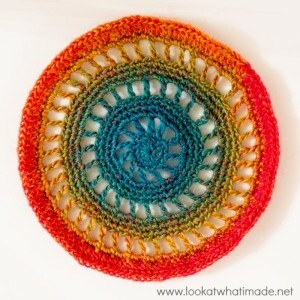 Using Scheepjes Invicta Colour and a 3.25 mm crochet hook, my finished railway mandalas were 12.5 cm (5″) in diameter. Thank you for joining me on the Crochetville Blog Tour 2016.
love this pattern and look forward to when you share your idea to make it square!!! Hi Alma. The code was only vaide 21 and 22 March. Hi Rita. The code was only valid for one day, and stopped working at 5 pm (GMT) yesterday. Please look out for the next time I do this. thank you! I can’t wait to try the rhino pattern! Thank you so much. :D SO glad you share your talent with all of us!